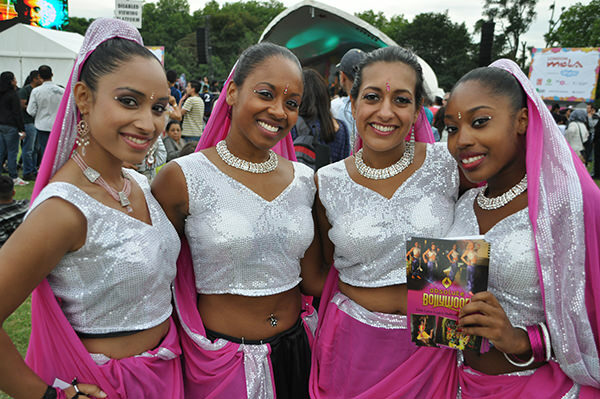 The London Mela is Europe’s biggest outdoor South Asian festival, and this year Absolute Bollywood were thrilled to be invited to perform! We were personally invited to dance on the Main Stage with the Raas Masters, who are a UK collaboration of music producers and Indian singers led by Jkeys and Harish Patel. Of course we agreed straight away! 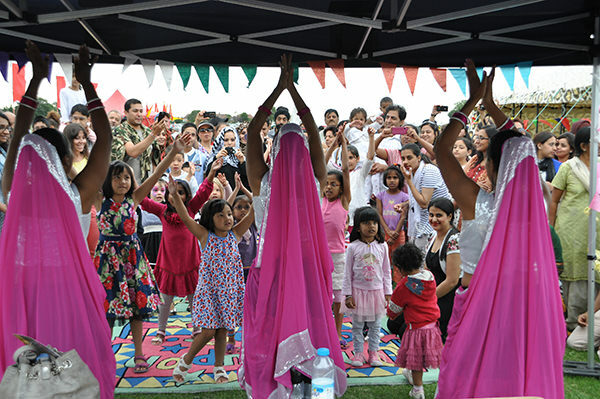 We choreographed a special routine to complement the Dandia style of Raas Masters’ BBC Radio 1 acclaimed dance track ‘Sona No’ and we chose gorgeous pink and silver costumes for the performance. Our stage time was just before 4pm, and after a great set with the guys- we decided to teach an impromptu Bollywood dance class to a very willing audience! Sharing the main stage alongside Absolute Bollywood at yesterday’s event were some truly amazing and well-respected acts such as the Sufi songstress Harshdeep Kaur, up and coming singer-songwriter Arjun (a friend of Absolute Bollywood!) and pioneer of the British music scene, Bally Sagoo. London Mela 2013 saw a crowd of 80,000 people turn out for this action-packed event in Gunnersbury Park and us Absolute Bollywood girls had fun both performing, and watching the other acts. This free festival is a great day out for all the family, children and adults alike- one not to be missed next year!